Known for its GPUs, power supplies and motherboards, EVGA just introduced a high-end sound card called the Nu Audio. Maybe PC audio is still important after all. 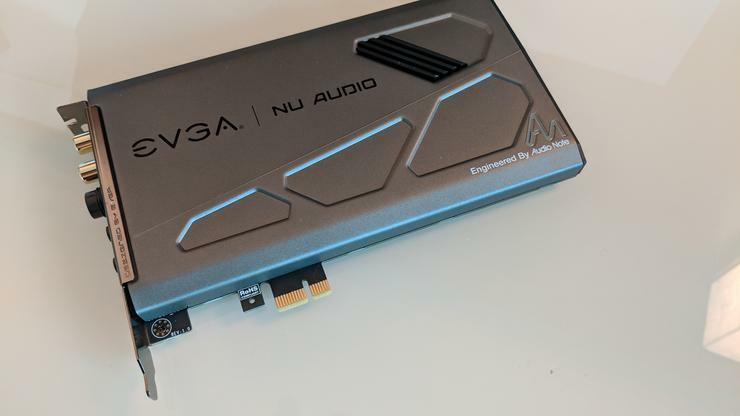 At CES 2019 on Tuesday, EVGA introduced Nu Audio, its first-ever sound card with claims that it will bring “lifelike gaming” to your ears. EVGA partnered with UK firm AudioNote on the card, which features a six-layer, gold-plated PCB. Making clean audio depends a lot of getting noise-free power, so EVGA uses AudioNote capacitors and resistors in the card as well as a Texas Instrument power-regulation circuit. There’s also German-made WIMA capacitors and AKM 4493 DACS and AKM 5572 ADCs. The card also embeds an XMOS xCORE-200 processor for most of the audio chores on the card. For ports, you get RCA, quarter-inch, and two 3.5mm jacks, plus a TOSLINK port. 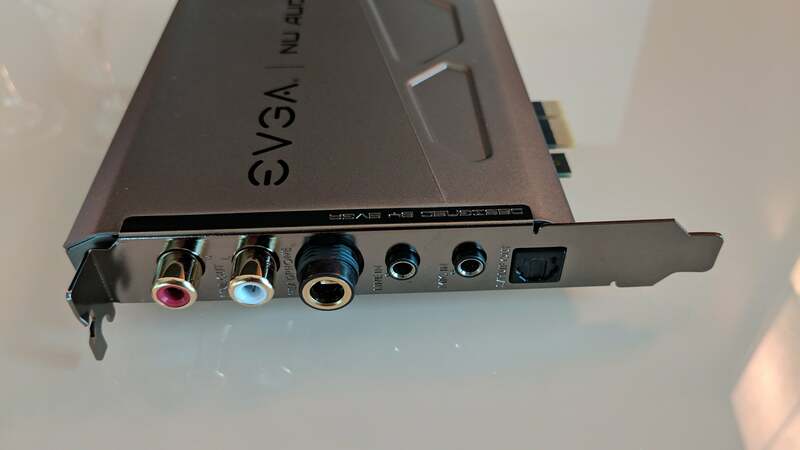 Oddly, EVGA includes an HD front-panel audio header on top of the card so you can connect a cases’ headphone jack to the card. While it is convenient, it’s also like buying a Ferrari and then going off road with it. All this, EVGA said, will lead to stunning audio. The card, for example, is capable of playing even playing ultra-niche DSD audio files developed for archiving audio in the 1990s. 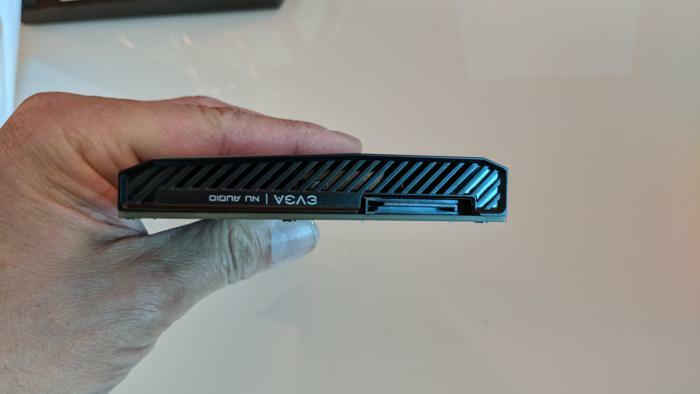 No other card can do that today, EVGA says. One area that very much separates it from the main player in soundcards, Creative Labs, is the lack of processing of the audio. EVGA officials said the philosophy with the card was to get sound as pure as possible. The company said the purity of the sound is what will make it “lifelike” in gaming. That’s a different approach from Creative, which offers a smorgasbord of different options to process, say, bad MP3s to improve their audio, as well as a wealth of technology to enhance positional audio in games. Creative Labs just introduced its Sound BlasterX AE-9. The card is powered by a single SATA connector. Which is better? That’s unknown but having what amounts to a third player in sound cards can only be good for PC audio ,which has always played second fiddle to sexier graphics cards, CPUs, and even storage. EVGA said the card will cost $250 EVGA Elite Members will be able to buy it for $200.